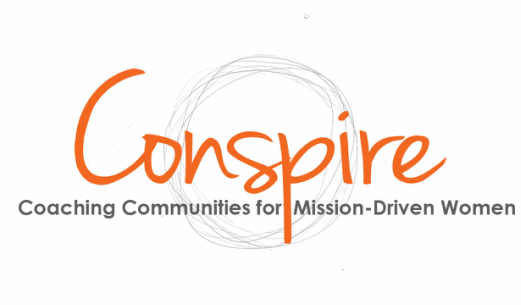 The Conspiring Women Coaching Co-op is a reciprocal peer coaching exchange for mission-driven women. ​Each woman is matched with two other women - one as a coach and one as a coachee! Applications for the Dec- May round are due Nov 29th. Early applications are encouraged. Here are the questions we've been asked most frequently! Thank you for your interest in the Conspiring Women Coaching Co-Op! Please let us know if you have questions that are not answered below, or if you'd like to chat with us about the program. This program is specifically for women who care very much about growing, stretching and ultimately, making a difference in the world. ​The women who participate value on-going leadership, personal and professional development and a supportive structure and community to do this. Our aim is to help build deep, empathetic, connected relationships among the women in this community through ongoing rounds of peer coaching. We hope our members are into that! The participants in the co-op understand that receiving coaching is hugely beneficial as it holds a space for reflective and reflexive leadership practice and values-aligned living. Our members are mainly women in the nonprofit and public sectors. Some are social entrepreneurs and creatives. All care deeply about having their lives lead to something positive in the world. We will match people based on years of experience, so you can expect to work with someone who is a peer. Our members value being the coach as much as getting coached. They value this because it matters to them to support the development of other women. They realize that when coaching others, we typically walk away with big insights for ourselves as well. In fact, sometimes you take away more insight and inspiration when coaching than when being coached! 1. You are matched with one person to coach you for six sessions between April 16th and July 31. 2. You are matched with another person whom you coach for six sessions during the same time period. 3. Our online peer-coaching platform will give you everything you need to know how to coach and be coached, define your coaching goals, and track your progress as coach and coachee, and provide feedback on your experience. Once you are accepted into the Co-Op (after a self-assessment and reference check), you will enroll in a round of coaching. The others in your "round" will be people within a similar range of years of work and leadership experience. You will be able to view the profiles of the people in your round and request at least three of them to be your peer coach based on these profiles. We can't guarantee that you will get one of the people whom you selected, but we will make every effort! Some of the magic about reciprocal peer coaching is discovering what you can learn with the person with whom your matched. Keep in mind that no one is in the Co-op as a professionally trained coach so different people will bring who they are to the structure provided. Part of being coachable is keeping an open mind and staying curious about what space this match will create for you and to see what unfolds. You will coach a woman who is committed to making good use of your time and to developing herself. Most likely, she will have selected your profile. She will be a woman whose values align with those of this women-supporting-women Co-Op who seeks to grow, develop and to contribute back for other women to do the same. The rest-- well, you'll find out! - Each member having a consistent space in which to reflect, prioritize, explore and make shifts in thinking/behavior. - A network of women who have done deep work together will grow -- the potential of which is inspiring to consider! How will I know how to coach? Step 1: Set the Agenda. Always let your coachee decide on the agenda for the conversation. It's a good practice to not proceeed with the conversation until you are both very clear about what this agenda is AND why this agenda matters to your coachee. Step 2: Ask Questions and Reflect Back What You Hear/Observe to Tap Into Your Coachee's Insights & Wisdom. - You are a coach, not an advisor or expert. Your job is simply to ask good questions and provide a space for reflection. - Be curious; ask open ended questions that help your coachee discover her own insights and tap her own inner resources. - Check in a few times throughout - "How are we doing with your agenda?" "Are we still on track with the agenda, or have we switched topics?" Step 3: Notice any shifts, new openings, "ahas" that you hear. - Don't worry if you don't hear these - you can always ask your coachee if she's felt any such shifts. - Ask the coachee to come up with an action to take on between the session and the next one. It's always best for the coachee to come up with this? After you coach, you will simply go into the coaching system and indicate that you have completed the session. This will help us to be sure that the sessions are happening. Don't worry, we'll prompt you to do this! How do i figure out what to work on with a peer coach? We will help you determine your coaching focus at several points in the process. 1. When you view the profiles of coaches to request some to coach you'll indicate the general coaching topic as well. These will be leadership development, career management, career/life transition. 2. In preparation for your first session with your coach, you will complete a pre-coaching exploration worksheet. This will help you articulate what you hope to gain from your coaching sessions and the progress you'd like to make over the six sessions. Don't worry, you can change this as you go along, but you will start off with some defined idea of what you want to take away from the sessions. This worksheet will invite you to scan some of the most common coaching topics within the categories of leadership development, career management and career/life transition. 3. You and your partners will track the topic of each coaching session as well as what you took away from each session. Each time you submit this feedback, you'll have the opportunity to ask Conspire Coaching for support or suggestions for how to take full advantage of the peer coaching, including refining the coaching topics to be the best suited to peer coaching. What's the timeline for this round? Here's the Curriculum and Flow for round that kicks off in February. Click here for more and to sign up for this round. To join the co-op you pay an initial $18 joining fee that you'll never have to pay again. This enables you to enroll in this and any upcoming rounds of reciprocal peer coaching. To apply to join the co-op, click on this link and follow the steps to pay, and share some personal details with us so that we can screen to ensure you're ready to participate in the work of the co-op. We'll ask you a few screening questions, ask you to provide a reference, and begin to get to know which group we should place you in for matching. How do I enroll in a round of coaching? Once you're accepted into the co-op, you'll be invited to participate in each round of reciprocal peer coaching. At this point you'll pay the $49 round fee and set up your profile for the round. A few days later, you'll be invited to view the profiles of the others in your group with similar years of work and leadership experience and request at least three to coach you. A few days after that you'll be matched and given instructions on how to get started with the coaching experience. Email jenroberts@conspirecoaching.com and ask away, or book some time to chat by phone or Skype or Google Hangout. What are some characteristics of people who are coach-able? ​1. You value/feel the need for some time to step back and reflect on at least one area of your life (e.g. leadership/career/life/transition). You understand the benefit of reflecting on your professional and personal practices and adapting your approaches, perspective and behavior accordingly. You are interested in living with a coaching mindset; being someone who lives life with intention, choice and as a "practice." 2. You are coach-able, meaning you will commit to being open to your peer-coach's questions to see where they take you. You will be curious about what insights you might gain and shifts you might experience by setting aside space, time and enrolling someone else's support. 3. You will be willing to choose an over-arching coaching goal and think through some milestones or signs of progress that are track-able. You are free to change your mind, but we want everyone to make an effort to go into this experience with some intention about what they'd like to take away from it. Your first session with your peer-coach will be a structured conversation that will help you to establish this coaching goal. 4.. You will be self aware about what might get in the way and choose to let go of these things. Typically these things include worrying about doing it right or wrong, worrying about looking bad, judging your coach and thinking she's not good enough, feeling as though you're being forced to do the program rather than choosing it when resistance pops up. 5. You are reliable. You show up on time for your appointments and are ready to be coached. If you aren't fully present, you make an effort to communicate that and ask for help in getting present to the coaching conversation. 6. You are willing to be vulnerable and honest in order to experience significant shifts and growth. Who would make an excellent peer coach? ​1. You are genuinely interested in other people. You are able to let your natural curiosity and intuition guide you in asking open-ended questions that lead to exploration. 2. You would find it rewarding to contribute to the growth and development of another mission-driven woman. 3. You are reliable. You show up on time for your appointments and are fully present to the person you are coaching. 4. You generally notice that when you are able to support someone else to reflect, you also take away insights that you can apply to your own life and find coaching conversations to be mutually rewarding. 5. You are comfortable letting your coachee drive the agenda of each conversation and trying hard not to impose your own agenda or judgement on the conversation. 6. You are able to see your coachee as resourceful, just fine the way she is, and the number one expert in her own life. You are committed to helping her tap into her own inner resources and arriving at her own conclusions.